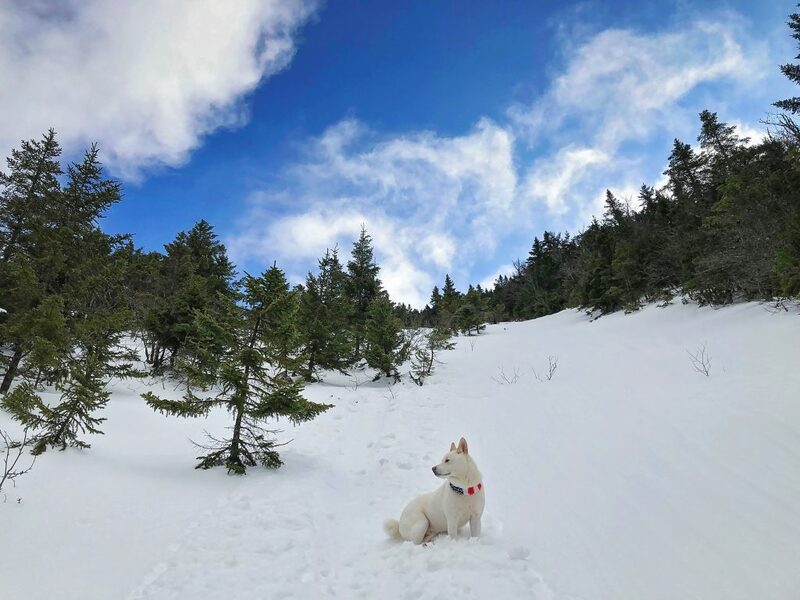 Date of Hike: Friday, February 4th, 2019. 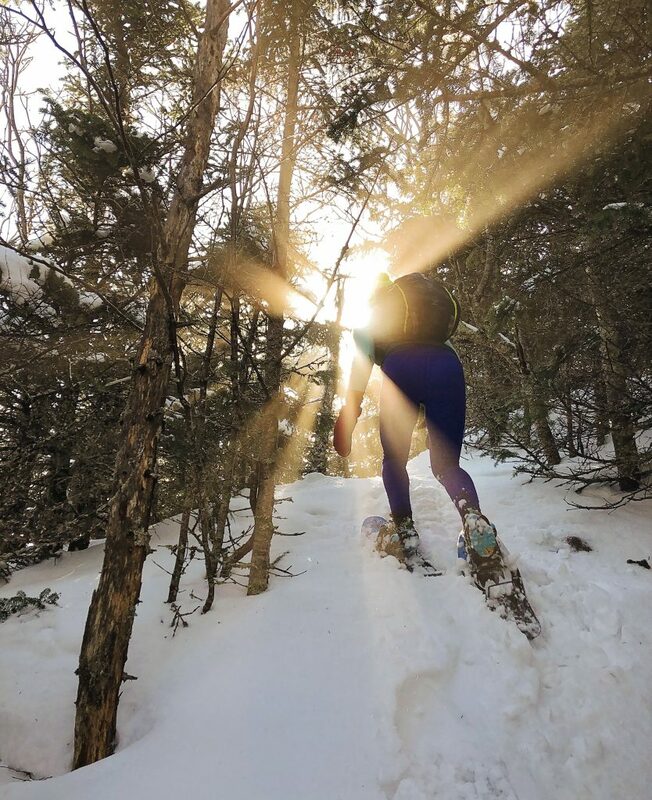 Trail Conditions: Packed snow, unconsolidated snow, heavy drifted powder. Special Equipment Required: Microspikes, snowshoes. 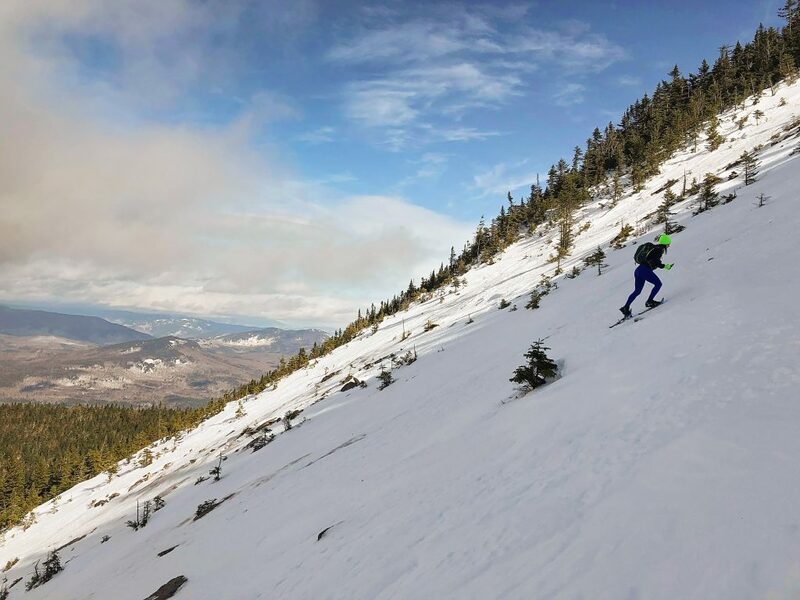 Comments: We departed Tripoli Road in Waterville Valley mid-morning and found easy walking along the hard-packed ski trails on Livermore Road. Our plan for the day was to loop the Tripyramids, using both the North and South Slides. Breaking trail to North Tripyramid. Once we gained the North Peak, we saw there were no tracks heading over to Middle, resulting in us breaking trail all the way to the South Slide essentially. With the rising temperatures, the snow was unbelievably heavy as we post-holed even with our snowshoes on. The South Slide itself also appeared untouched. Our shins were on fire as we tried everything we could to stay upright through the deep, steep, and impossibly heavy snow. My guess is that conditions will be similar for the remainder of the “warm-up” and then solidify once the more seasonable temperatures return late week. Making our way, slowly, up the infamous North Slide. 3 slides for me in the first 4 days of the month. February is off to a good start.